In this tutorial, I’ll show you how to create an abstract composition in Photoshop using a variety of shapes, layer styles, patterns, and photo manipulation techniques. Layered PSD file included. Create a new document (Ctrl+N) in Adobe Photoshop with the size 1920px by 1200px (RGB color mode) at a resolution of 72 pixels/inch. Use the Paint Bucket Tool (G) to fill with #80494C color the new background layer. 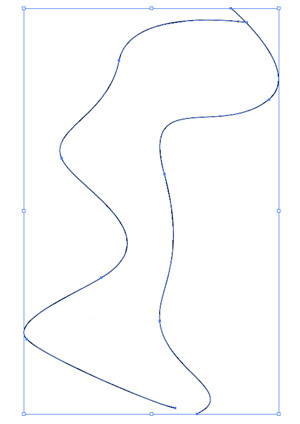 Pass on the Adobe Illustrator program and select the Pen Tool (P) to represent two lines of black color. Select the lines and press CTRL+C to copy. In Adobe Photoshop press CTRL+V (Paste As: Smart Object). 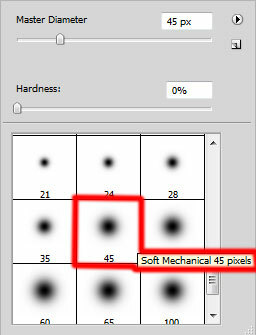 Click on the layer with the lines on the bottom part of the Layers panel on Add layer mask icon and choose the Soft Round brush (Opacity 20%). Set Foreground color to black and using Soft Round brush paint in the mask to change opacity of the lines edges. Next step we’ll download a set of brushes for in Adobe Photoshop, named: Smoke_Brushes_Set_1_by_Falln_Stock , MVbrush0809 and manga-blood . 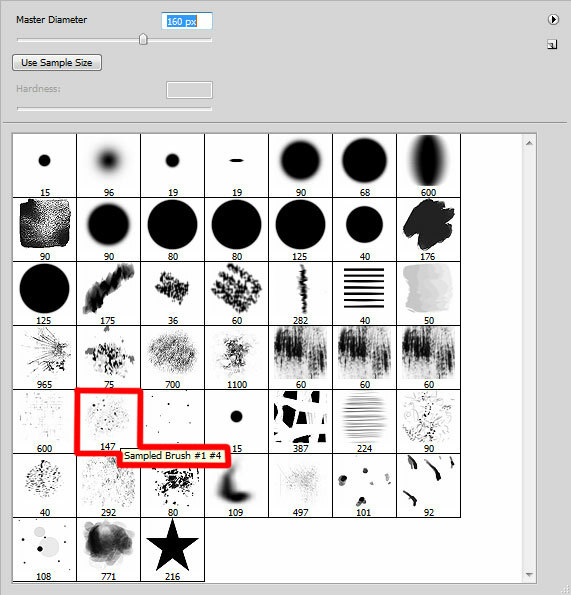 Create a new layer and select the next brushes from Smoke_Brushes_Set_1_by_Falln_Stock set. The brushes’ color is white. Add the next smoke brush to our layer. Place this layer under the layer containing the girl. 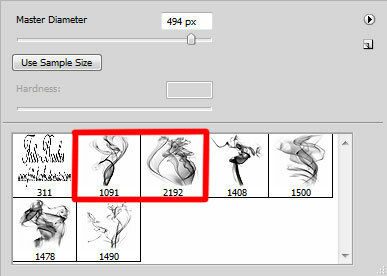 Choose after that the Free Transform (Ctrl+T) command to incline the brushes’ layer. Use Soft Round brush to paint smoothly in the mask to change the opacity of the smoke layer. Create the next new layer and choose for it the earlier mentioned brush to add the next smoke. Its color in this case is white. Place the layer under the girl’s layer. Incline a little the brush’s layer, applying Free Transform (Ctrl+T) command, stretching it also the same way demonstrated below. Use Soft Round brush to paint smoothly in the mask to change the opacity of the smoke layer on the girl’s right side. Next create a new layer and select for it the Paint Bucket Tool (G) to fill the layer in black. The layer will be situated lower than the girl’s layer. Select for this layer Filter>Render>Clouds (choosing for Foreground color the white color). Use the Free Transform (Ctrl+T) command to scale vertical the clouds’ layer. Set Fill to 34% for this layer and change the Blending mode to Luminosity. Use the Soft Round brush to paint smoothly in the mask to hide the top part on the layer. Create a new layer and select the Soft Round brush of black color. Use this brush to represent a kind of shadow. Place the shadow’s layer under the girl’s one. Click on the same layer on the lowest part of the Layers panel on Add layer mask icon and take the Soft Mechanical brush of black color with the Opacity of 20%. Create a new layer and select this time the Sampled Brush #1 #4 from MVbrush0809 set. The color for the brushes should be white. Make some brushstroke using this brush as shown. Place the layer also lower than the girl’s layer. Next use the Rectangle Tool (U) to represent several rectangle of the #BA8386 color. Next we’ll combine in a group all the rectangles’ layers (press CTRL button to select the corresponding layers and hold on the left mouse’s button when dragging them down on Create a new group icon from bottom part of the Layers panel). Put the group into one single layer. Select the new group and press CTRL+E to Merge Down. 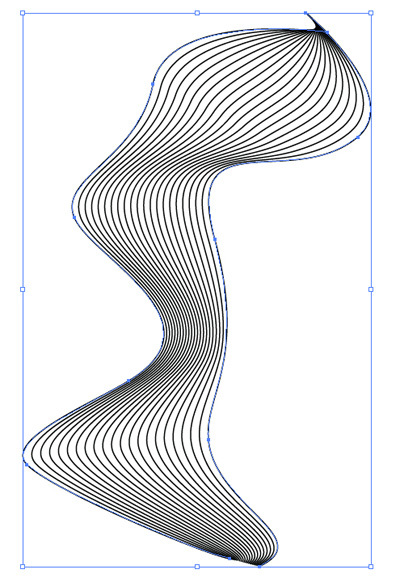 Using the Free Transform (Ctrl+T) command, incline the layer the same way demonstrated next picture. The new layer containing the rectangles will be situated under the girl’s layer. Using the Rectangular Marquee Tool (M), try to represent the next selection on the rectangles’ layer. … and press DELETE button. 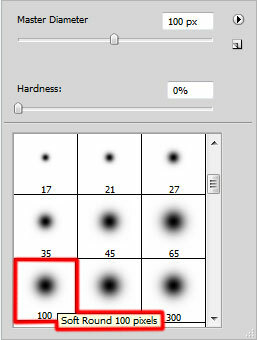 Click on the same layer on the bottom part of the Layers panel on Add layer mask icon and select the Soft Round brush of black color (Opacity 20%). Use this brush to paint in the mask to change the opacity of the rectangles. 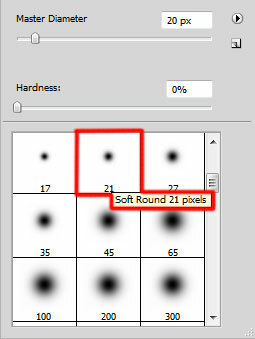 Next we’ll create a new file with the size 6px by 6px (RGB color mode) at a resolution of 72 pixels/inch, use the Pencil Tool (B) to draw a hard-edged line with Hard Round brush (Master Diameter – 1px). Choose Edit > Define Pattern. 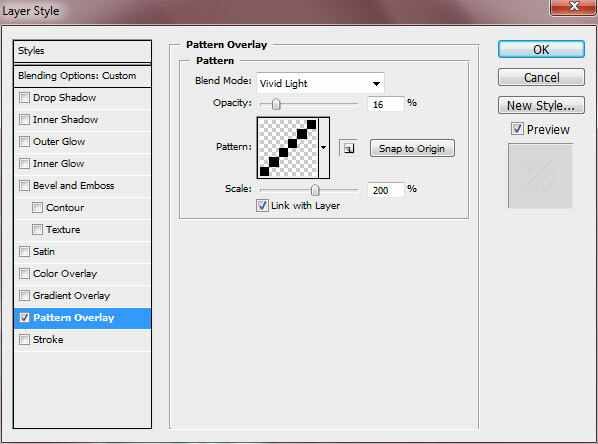 Enter a name for the pattern in the Pattern Name dialog box. Use the Rectangle Tool (U) to create the next demonstrated rectangle. Set Fill to 0% for this layer and click Add a layer style icon from bottom part of the Layers panel to select Pattern Overlay. Go to Pattern Picker, and recent created pattern can be added by loading them from the Picker‘s sub-menu. Use this brush to paint in the mask to hide the texture’s edges. 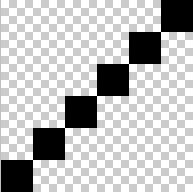 Using the Line Tool (U) (Weight – 1px), represent three parallel lines, placing their layers under the girl’s one. Set Fill to 43% for each layer containing the line.